Looking for a great barcode scanner app for your ​​Android device or iPhone? If you need to easily find the best shopping deals, keep track of your books, quickly assemble a grocery list, or just scan a QR code, there are several apps to help you get the job done no matter which platform you are using. The information below should apply to any iPhone or Android no matter who made your Android phone: Samsung, Google, Huawei, Xiaomi, etc. If you simply need an app to scan barcodes and decypher QR codes, the Barcode Scanner app is what you're seeking. 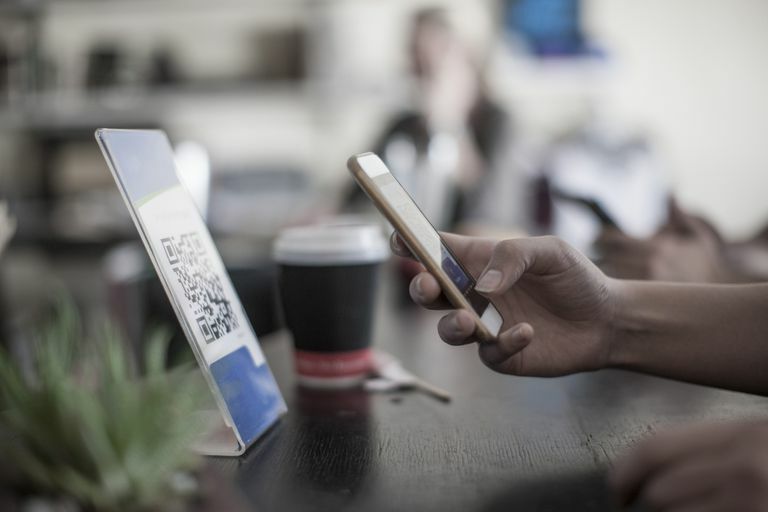 With a fast scanner, the ability to track all scanning history, and tools to create your own QR codes, Barcode Scanner takes the cake. That is, as long as you are willing to pay the $2.99 a month subscription price after your free trial. Quick and efficent barcode/QR code scanner. Easily activate flashlight for scanning in dark scenarios. History of all past scans. Ability to create your own QR Codes. Easily search the web for more information. $2.99 a month for a barcode app feels expensive. Web search merely dumps you into a Google webpage. Only available for iOS devices. An app that stays true to its name, the Scan app scans UPC barcodes and QR codes, saving them to in-app history for later access. One of the smartest general scanners we could find, the app can automatically detect whether it has scanned plain text, a website URL, a location, contact information, and much more. Add on a beautiful interface, and the Scan app truly shines. And you get it all for a one time fee of $1.99. Quick and efficient way to scan barcodes. Only a one time $1.99 fee to use. Extremely smart sorting of scanned items. A beautiful user interface that's easy to navigate. No way to try the app before you buy. If you enjoy hunting down the best deals and bargains when shopping, then the free ShopSavvy app is perfect for your coupon clipping arsenal. While you can easily search for any item, the true power of the app comes from its barcode scanner. Merely scan any item to compare the best prices across the app’s database of retailers. Once an item is scanned, the mobile app will recommend different purchasing options, as well as other similar product suggestions. Fast way to research product pricing. Scanning is fast and accurate. Large retailer database for price comparisons. Save scanned items to account. Easy to use interface design. Notifications for deals you probably don't care about. No method to remove advertisements. Goodreads is a free mobile app that allows readers to keep track of every book they've read and all of the books they intend to read. One of the most undervalued features of the app is its built-in book scanner, allowing users to quickly save potential new books to a "to be read" list or easily pull up book reviews. The scanner is extremely accurate. Users can scan either the barcode or the entire book cover. Great way to keep track of your books. Includes a great community for readers. No easy way to compare book pricing. Provided reviews are limited to Goodreads. Is the world of digital music too modern for you? Music on vinyl has seen a resurgence in the popular eye and many individuals from the CD generation are now indulging in the hobby. Similar to the Goodreads app, Discogs allows you to scan and sort your vinyl records. Scan the barcode of your new records into the Discogs database or use the manual entry option for anything manufactured before barcodes were invented. Discogs also includes an avid community of vinyl fans to chat with after you're done importing your collection. Vast database of vinyl releases from around the world. Other formats include Cassette, MiniDisc, 8-Track, Reel to Reel, and CD. Completely free to utilize the app on mobile or via the full website. Excellent scanning feature for your physical media. Active and vibrant community for hobbyists. Community features are mostly limited to the website. Obscure media releases may not be listed. Not all vinyl records have a barcode for use with the scanning feature. Grocery shopping can be a pain, but Out of Milk makes it just a bit easier; use the app's barcode scanner to quickly assemble a shopping list or keep track of items in your pantry. Before you toss that carton of milk, launch the mobile app and scan the barcode to add it to your shopping list. For those who forget to make a list before shopping, Out of Milk might be the solution to help keep your kitchen stocked. A great way to track your food products. A feature to keep track of item prices. Sort foods into shopping or pantry list. Food products require manual price entry. No local retailer pricing given for scanned items. No way to remove advertisements. The Think Dirty app is the perfect companion for the healthy and environmentally conscious cosmetic or personal care product fanatic. Simply scan your shampoo, conditioner, foundation, lipstick, or other product's barcode with your phone to learn about its contents. The team behind Think Dirty rates products on a scale of 0 to 10, with 0 being the cleanest. Products with high rating numbers may contain carcinogens, developmental or reproductive toxicity, immune system toxins, and more. Fast and easy way to stay health conscious about your personal care products. The rating system is straightforward and easy to understand. Buyers can shop directly from the app. Create lists of products you deem dirty or clean. Application interface could use some simplification. Advertisements may cause some to question the impartial attitude of the app's creators towards some brands. If you’re using an iPhone running iOS 11 or later, you already have a basic QR code scanner app built into your device. Simply open the camera app and point it at a QR code for it to begin its scan. A notification will appear at the top of your screen once the code has been successfully scanned. Afterward, tap it to the access the available information. Quick and efficient scanner for QR codes. No downloads required, as the feature is built-in. No ability to scan standard UPC-style barcodes. Scans can produce jumbled information. No history to access what you've previously scanned.